strictly prohibited, except as AB SCIEX may authorize in writing. any right and/or license to use or permit others to use such manufacturers' and/or their product names as trademarks. any use by the purchaser or for any adverse circumstances arising therefrom. 2013 AB Sciex Pte. Ltd. Title updated. New template applied. Note: For safety information, refer to the System User Guide or the Safety Practices Guide. which includes the IQ0 lens , or skimmer; and the Q0 rod set. Minimizes unscheduled mass spectrometer downtime. Helps avoids more extensive cleaning, which might require a service visit. and a full cleaning might be necessary. QJet ion guide. 3200 and 4000 series systems have a skimmer instead. If you observe these problems, clean the mass spectrometer front end. storing, and disposing of chemicals. 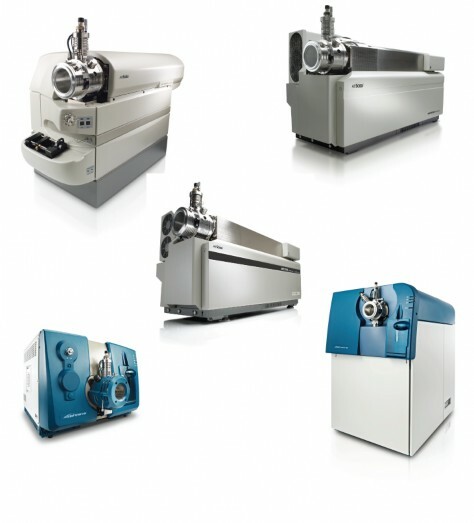 whether mass spectrometer decontamination is required prior to cleaning. biological agents, or toxic chemicals have been used with a mass spectrometer. waste. 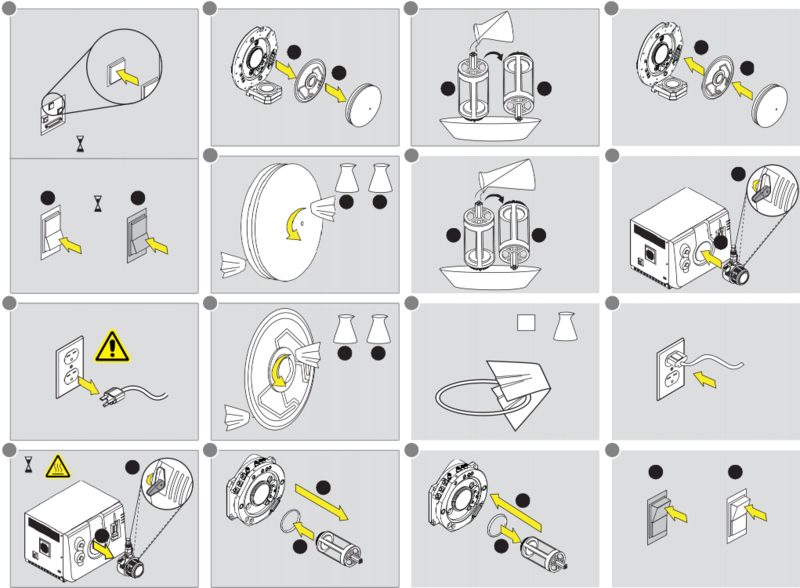 Follow established procedures when disposing of components. handling and disposing of chemicals are not followed. Always wear clean, powder-free gloves for the cleaning procedures. Do not use cleaning supplies other than those specified in this procedure. Use fresh, high-quality (pure) water (at least 18 MΩ de-ionized [DI] water or ultra-pure HPLC-grade water). Old water can contain contaminants that can further contaminate the mass spectrometer. If possible, prepare cleaning solutions just before you begin cleaning. use plastic bottles. Contaminants can leach from these bottles and further contaminate the mass spectrometer. Tip! 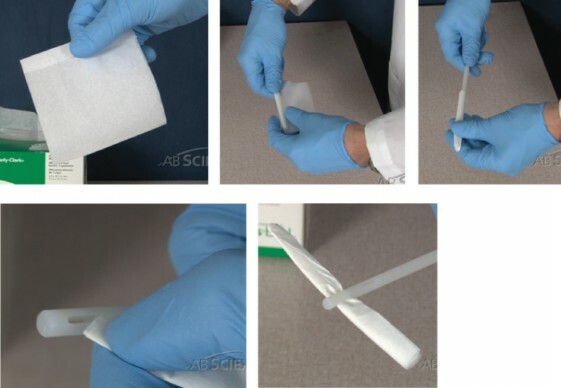 Wrap the wipe around a thermally-bonded polyester swab (poly swab). To avoid cross-contamination, discard the wipe or swab after it has touched the surface once. To avoid contaminating the cleaning solution, pour the solution on the wipe or swab. solvents, might cause the wipe to deteriorate, leaving residue on the mass spectrometer. Do not rub the wipe across the apertures, to prevent fibres from the wipes from entering the mass spectrometer. Do not insert the brush into the aperture on the curtain plate, orifice plate, skimmer, or IQ0 lens. water can contain contaminants that can further contaminate the mass spectrometer. Lint-free wipes. Refer to Tools and Supplies Available from the Manufacturer on page 10. Q0 cleaning tool. Refer to Tools and Supplies Available from the Manufacturer on page 10.
wipes, Q0 cleaning tool, tapered QJet ion guide cleaning brush, and Alconox packets. while the mass spectrometer remains under vacuum. components become hot during operation. Remove the ion source. Refer to the ion source Operator Guide. When the ion source is not in use, store it, to protect it from damage, and to maintain operating integrity. the ion source is removed. aperture tip. Make sure that the conical side of the curtain plate faces up. 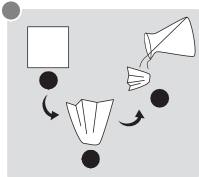 Remove the curtain plate and then place it, conical side up, on a clean, stable surface. Repeat step 2 using the cleaning solution. Using a dampened wipe or small poly swab, clean the aperture. Wait until the curtain plate is dry. Note: Persistent spotting or filming is an indicator of contaminated solvent. When cleaning the standard orifice plate with the removable interface heater, do not remove the interface heater. Surface cleaning of the interface heater is adequate for routine cleaning. Dampen a lint-free wipe with water and then wipe the front of the orifice plate, including the interface heater. Repeat the previous step using the cleaning solution. Wait until the orifice plate is dry. Install the curtain plate on the front end of the mass spectrometer. down into the locking position. Refer to the ion source Operator Guide . occur, then the curtain plate, orifice plate, and QJet ion guide or skimmer must be cleaned. to Verify Q0 Region Operation on page 16. If it does, the Q0 region must also be cleaned. Note: Do not clean the Q0 region unless there is evidence of contamination in this region. Prepare the Mass Spectrometer on page 16. Clean the Curtain Plate and Orifice Plate on page 17. (QJet ion guide-equipped systems) Clean the QJet Ion Guide . (Skimmer-equipped systems) Clean the Skimmer on page 22. Put the Mass Spectrometer Back into Service on page 23.
a positive mode experiment, switch to negative mode. guide or skimmer, and then clean the Q0 region. Refer to Q0 Cleaning (Optional) on page 25.
region contamination is not suspected. guide or skimmer only. 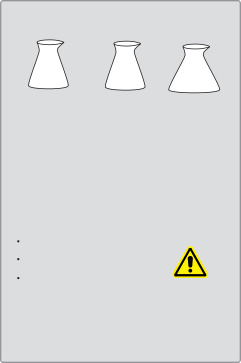 contaminants to enter the mass spectrometer. Shut down the system by following the procedure in the System User Guide or Hardware Guide . cables of the mass spectrometer and roughing pump from the AC mains supply. it, to protect it from damage, and to maintain operating integrity. when you release the spring latches. 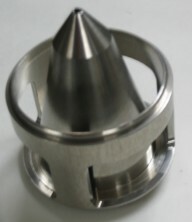 the orifice plate and place it, conical side up, on a clean, stable surface. Clean the curtain plate. 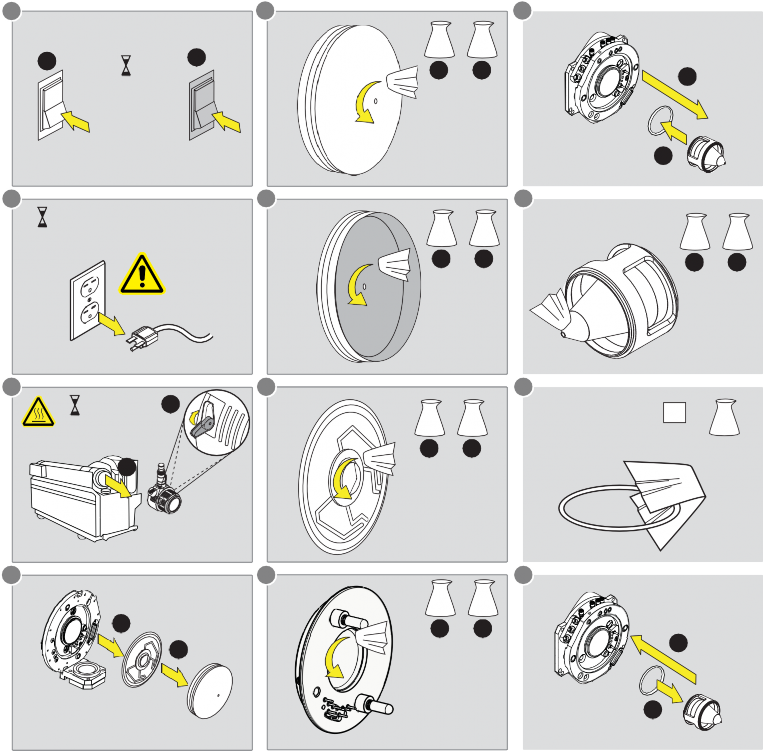 Refer to Clean the Curtain Plate on page 12. Using lint-free wipes and water, clean the inner metal portion on each side of the orifice plate. 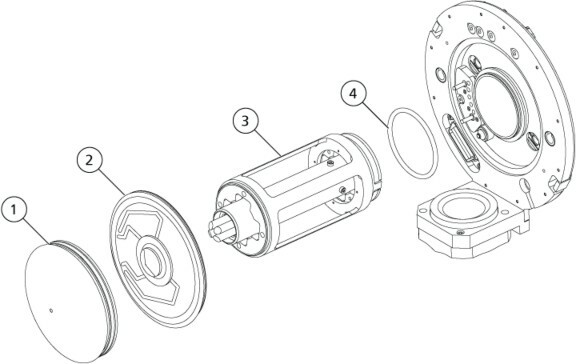 This procedure is applicable for 4500, 4600, 5000, 5500, 5600, and 6500 (IonDriveTM QJet ion guide) series systems. is required, perform the advanced cleaning. problems, refer to Perform an Advanced Cleaning of the QJet Ion Guide. Remove the QJet ion guide and place it on a clean, stable surface. Remove the O-ring from the rear of the QJet ion guide. pure water over and through it. 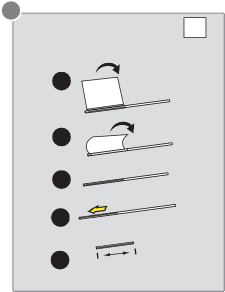 Invert the QJet ion guide, and repeat step 3. Repeat step 3 and step 4. Wait until the QJet ion guide is dry. Reinstall the O-ring on the back of the QJet ion guide. Perform this procedure when the basic cleaning does not resolve contamination problems. Empty an alconox packet into a clean, dry glass container, such as a one liter beaker. Add 25 mL hot water (if possible, 42°C to 46°C), while stirring. Tip! Tap water can be used. If the quality of the tap water is poor, use bottled water, heated separately. Note: To prevent burns and damage to the cleaning tool, avoid scalding water. Continue adding water, 25 mL at a time, until 100 mL have been added. The result should be a foamy, saturated solution. The alconox powder should be dissolved as much as possible. Latex gloves might turn slightly yellow from exposure to the soap and water. Prepare the Alconox mixture. Refer to Prepare the Alconox Solution. ion guide, and then remove the C-clip with the C-clip removal tool. (TripleTOF systems) Remove the three Phillips screws that hold the lens on the QJet ion guide. Pour hot tap water over and through the QJet ion guide to rinse it. Immerse the brush in the alconox solution. brush and the rods, and do not bend the brush handle. Insert the brush into the center of the QJet ion guide, applying a liberal amount of the foamy alconox solution. Note: Do not immerse the QJet ion guide in the alconox solution, to avoid contaminating the solution. Repeat step 6 to step 8 until the entire surface has been cleaned. Brush across the non-metal parts of the QJet ion guide. Pour hot tap water over and through the QJet ion guide for one minute, while brushing with the soapy brush. Make sure all residue has been rinsed away. Watch for evidence of water beading on the surface to confirm that the QJet ion guide is clean. Pour pure water over and through the QJet ion guide for one minute. refer to the System User Guide or the Safety Practices Guide . that it is applied to the entire surface. Catch any waste and discard it in the designated waste container. Isopropanol and methanol facilitate drying. exceed 60 psi. Make sure that the gas stream is not directed toward the operator. Use clean dry air (CDA) or nitrogen to dry the QJet ion guide. Be sure to remove all droplets. Note: Gas generators do not have sufficient flow to displace any remaining droplets. Wipe off any remaining spots with a lint-free wipe dampened with isopropanol or methanol. Repeat step 10 to step 18 to clean the IQ0 lens. 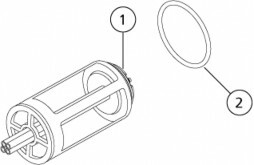 Clean the O-ring by pulling it gently through a lint-free wipe slightly dampened with methanol or isopropanol. Install the O-ring and IQ0 lens on the QJet ion guide. This procedure is applicable to 3200 and 4000 series systems. Remove the skimmer and place it on a clean, stable surface. Using fingers only, carefully remove the O-ring from the rear of the skimmer. Note: The skimmer has only one O-ring, located at the rear. Using lint-free wipes and water, clean both sides of the skimmer. Repeat step 3 using the cleaning solution. Inspect the skimmer for solvent stains or film, removing any residue with a clean, slightly damp lint-free wipe. Reinstall the O-ring on the skimmer. (QJet ion guide-equipped systems) Install the QJet ion guide. pull it out slightly, turn it, and then try again. another system. The model number for the system is etched on the orifice plate. (Skimmer-equipped systems) Install the skimmer. 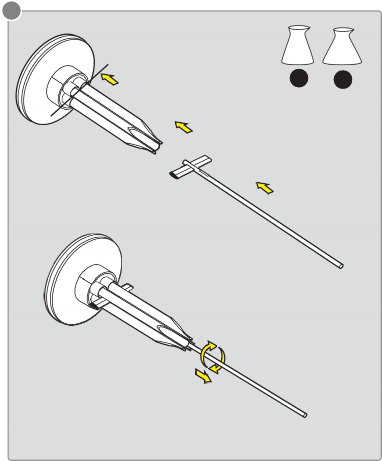 a. Align the pin on the back of the skimmer with one of the three notches in the assembly. b. Push the skimmer into place. a. Align the pins on the orifice plate with the corresponding holes in the mass spectrometer. b. Insert the orifice plate, pushing it into place until two clicks are heard. Install the ion source. Refer to the ion source Operator Guide. Start up the mass spectrometer. Refer to the System User Guide or Hardware Guide . ions of interest over a short period of time) on the quadrupoles. the other front-end components must be removed. cables of the mass spectrometer and roughing pump from the AC mains supply outlet. stable surface. 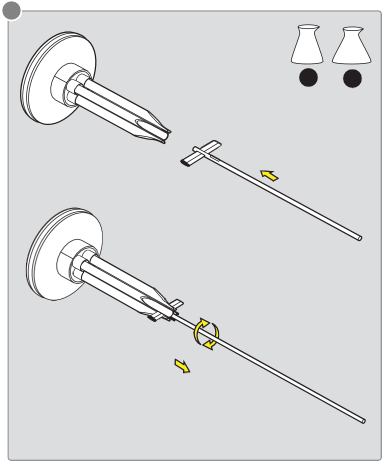 Make sure that the conical side of the curtain plate and orifice plate is facing upwards. Note: Clean Q0 in two steps, to avoid pushing contaminants onto the IQ1 lens, or through to the other side. Dampen a wipe in methanol and then clean the outside surface of the Q0 cleaning tool. Let the Q0 cleaning tool dry. a. Cut a wipe in half on the fold. c. Insert the wipe into the top eyelet. excessively. Excessive moisture can cause the wipes to fall apart in the chamber. a. Roll the wipe around the Q0 cleaning tool. b. Flatten the wipe and insert it into the eyelet. The wipe should be 1 cm (3/8 in.) wide. as the handle of a poly swab. Dampen the wipe slightly with cleaning solution. Blot the wipe with a dry wipe to remove excess moisture. Flatten the wipes for easy insertion into Q0. 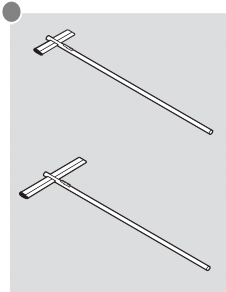 Caution: Potential System Damage: Do not force the rods apart during cleaning. Insert the Q0 cleaning tool approximately 2.5 cm (1 inch) deep between the Q0 rods. wound in one spot, which would make the tool difficult to remove. Slowly pull the tool out of the Q0 rod set. Do not push the tool further into the Q0 rod set. Insert a clean wipe, dampened with methanol. Repeat step 1 through step 4 at least one more time. Note: If severe contamination is suspected, additional cleaning might be required. Remove and dispose of the contaminated wipe. Insert a clean wipe, dampened with cleaning solution. Install the Q0 cleaning tool between the Q0 rods until resistance is felt when it contacts the shield. from becoming too thickly wound in one spot, which would make the tool difficult to remove. Repeat step 2 to step 4. Wait until the Q0 region is dry. (Optional) Dry the Q0 region, while it is still wet, with a flow of clean air or nitrogen. Continue with Put the Mass Spectrometer Back into Service on page 23.
to the procedure in this guide. All solutions must be MS-grade. This document is provided to customers who have purchased AB SCIEX equipment to use in the operation of such AB SCIEX equipment. This document is copyright protected and any reproduction of this document or any part of this document is strictly prohibited, except as AB SCIEX may authorize in writing. Software that may be described in this document is furnished under a license agreement. It is against the law to copy, modify, or distribute the software on any medium, except as specifically allowed in the license agreement. Furthermore, the license agreement may prohibit the software from being disassembled, reverse engineered, or decompiled for any purpose. Warranties are as stated therein. AB SCIEX warranties are limited to those express warranties provided at the time of sale or license of its products and are AB SCIEX’s sole and exclusive representations, warranties, and obligations. AB SCIEX makes no other warranty of any kind whatsoever, expressed or implied, including without limitation, warranties of merchantability or fitness for a particular purpose, whether arising from a statute or otherwise in law or from a course of dealing or usage of trade, all of which are expressly disclaimed, and assumes no responsibility or contingent liability, including indirect or consequential damages, for any use by the purchaser or for any adverse circumstances arising therefrom. The trademarks mentioned herein are the property of AB Sciex Pte. Ltd. or their respective owners. AB SCIEX™ is being used under license. © 2013 AB Sciex Pte. Ltd. Printed in Canada. Updated for use with new Customer Familiarization Checklist. Inspect and clean the front-end components, including the curtain plate; the orifice plate; the QJet® ion guide, which includes the IQ0 lens , or skimmer; and the Q0 rod set. To help prevent instrument contamination, perform routine cleaning regularly: clean up to and including the front of the orifice plate. (This can be done daily.) If sensitivity issues occur, the instrument might have been contaminated, and a full cleaning might be necessary. If a full cleaning, including advanced cleaning of the QJet ion guide, does not resolve issues, a service visit might be required. Additional peaks that are not part of the sample appear in full scan or survey scan methods If you observe these problems, clean the mass spectrometer front end. WARNING! Toxic Chemical Hazard: Follow all safety guidelines when handling, storing, and disposing of chemicals. WARNING! Radiation Hazard, Biohazard, or Toxic Chemical Hazard: Determine whether mass spectrometer decontamination is required prior to cleaning. Decontamination should be performed prior to cleaning if radioactive materials, biological agents, or toxic chemicals have been used with a mass spectrometer. WARNING! Environmental Hazard: Do not dispose of system components in municipal waste. Follow established procedures when disposing of components. Determine which chemicals may have been used in the instrument prior to service. 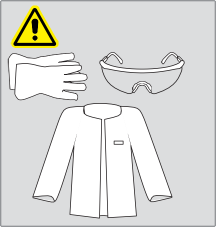 Refer to the Safety Data Sheets (SDSs) if you are not familiar with the chemicals and the health and safety precautions that should be followed. 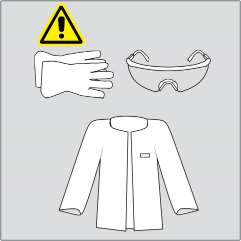 Always wear assigned personal protective equipment, including powder-free nitrile gloves, safety glasses, and a laboratory coat. Take care in the use and disposal of any chemicals. Potential risk of personal injury if proper procedures for handling and disposing of chemicals are not followed. After cleaning mass spectrometer components, and before reassembling them, put on a new, clean pair of gloves. Use fresh, high-quality (pure) water (at least 18 MΩ de-ionized [DI] water or ultra-pure HPLC-grade water). Old water can contain contaminants that can further contaminate the mass spectrometer. Prepare and store all organic solutions and organic-containing solutions in very clean glassware only. Never use plastic bottles. Contaminants can leach from these bottles and further contaminate the mass spectrometer. Allow only the center area of the wipe to contact the mass spectrometer surface. Cut edges can leave fibers behind. 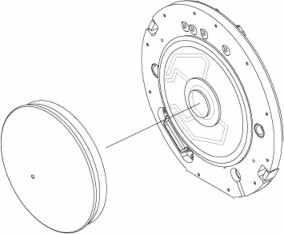 Larger parts of the vacuum interface, such as the curtain plate, might require several cleanings, using multiple wipes. Only dampen the wipe or swab slightly when applying water or cleaning solution. Water, more so than organic solvents, might cause the wipe to deteriorate, leaving residue on the mass spectrometer. Note: U.S. customers can call 877-740-2129 for ordering information and inquiries. International customers can visit www.absciex.com/contact-us. Fresh, high-quality (pure) water (at least 18 MΩ de-ionized [DI] water or ultra-pure HPLC-grade water). Old water can contain contaminants that can further contaminate the mass spectrometer. Cleaning kit (3200, 4000, 4500, 5000, and 5500 series systems). Contains the small poly swab, lint-free wipes, Q0 cleaning tool, straight QJet® ion guide cleaning brush, and Alconox packets. Cleaning kit (4600 and 5600 series systems). Contains the small poly swab, lint-free wipes, Q0 cleaning tool, tapered QJet ion guide cleaning brush, and Alconox packets. Cleaning kit (6500 series systems). Contains the small poly swab, lint-free wipes, Q0 cleaning tool, tapered IonDriveTM QJet ion guide cleaning brush, Q0 cleaning brush, and Alconox packets. For routine cleaning, clean the curtain plate and the front of the orifice plate. Routine cleaning can be performed while the mass spectrometer remains under vacuum. 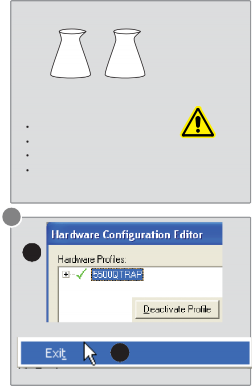 Deactivate the hardware profile. Refer to the System User Guide or the Analyst® Software Getting Started Guide . WARNING! Hot Surface Hazard: Let the ion source cool for at least 90 minutes (for the IonDriveTM Turbo V ion source) or 30 minutes (for other ion sources) before starting any maintenance procedures. Surfaces of the ion source and its components become hot during operation. 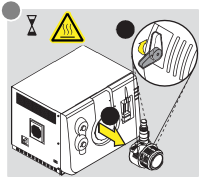 Caution: Potential System Damage: Do not drop anything into the source drain when the ion source is removed. Caution: Potential System Damage: Do not rest the curtain plate or orifice plate on the aperture tip. Make sure that the conical side of the curtain plate faces up. Caution: Potential System Damage: Do not insert a wire or metal brush into the aperture on the curtain plate, orifice plate, interface heater, or IQ0 lens to avoid damaging the aperture. Dampen a lint-free wipe with pure water and clean both sides of the curtain plate. Use multiple wipes, as required. Inspect the curtain plate for solvent stains or lint, removing any residue with a clean, slightly damp, lint-free wipe. When cleaning the standard orifice plate with the removable interface heater, do not remove the interface heater. Surface cleaning of the interface heater is adequate for routine cleaning. 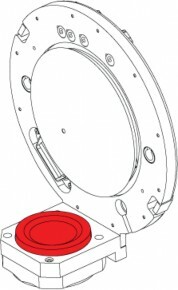 Inspect the orifice plate for solvent stains or lint, removing any residue with a clean, slightly damp, lint-free wipe. Install the ion source on the mass spectrometer. 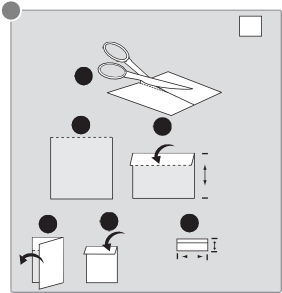 Remember to tighten the source by turning the source latches down into the locking position. 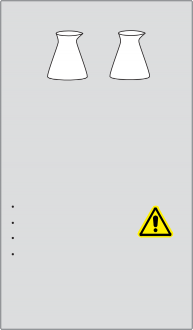 Refer to the ion source Operator Guide . Activate the hardware profile. Refer to the System User Guide or the Analyst® Software Getting Started Guide . If sensitivity loss or charging (a significant loss of sensitivity of the ions of interest over a short period of time) occur, then the curtain plate, orifice plate, and QJet® ion guide or skimmer must be cleaned. 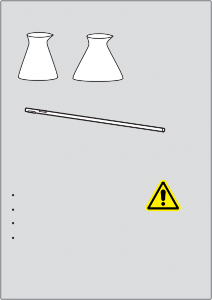 Before cleaning these components, determine whether the contamination has extended to the Q0 region. Refer to Verify Q0 Region Operation on page 16. If it does, the Q0 region must also be cleaned. (QJet ion guide-equipped systems) Clean the QJet® Ion Guide . Switch polarity, scan for several minutes, and then return to the original polarity. 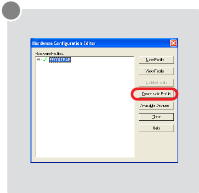 For example, when running a positive mode experiment, switch to negative mode. Sensitivity improves temporarily, and then begins to decline gradually. Q0 region contamination is suspected. Clean the curtain plate, orifice plate, and QJet® ion guide or skimmer, and then clean the Q0 region. Refer to Q0 Cleaning (Optional) on page 25. Clean the curtain plate, orifice plate, and QJet ion guide or skimmer only. Caution: Potential System Contamination: Do not force venting. Doing so can cause contaminants to enter the mass spectrometer. Shut down the system by following the procedure in the System User Guide or Hardware Guide . Wait at least 25 minutes for the mass spectrometer to vent naturally, and then disconnect the AC mains supply cables of the mass spectrometer and roughing pump from the AC mains supply. Remove the ion source. Refer to the ion source Operator Guide. When the ion source is not in use, store it, to protect it from damage, and to maintain operating integrity. Caution: Potential System Damage: Hold the orifice plate to prevent it from dropping when you release the spring latches. While holding the orifice plate with one hand, use the other hand to release the spring latches and then remove the orifice plate and place it, conical side up, on a clean, stable surface. Perform this procedure regularly to clean the QJet ion guide. If this procedure does not resolve contamination problems, refer to Perform an Advanced Cleaning of the QJet® Ion Guide. Hold the QJet ion guide over a 500 mL beaker (or equivalent), with the IQ0 lens side down, and then pour pure water over and through it. Inspect the QJet ion guide for solvent stains or lint, removing any residue with a clean, slightly damp, lint-free wipe. Clean the O-ring by pulling it gently through a lint-free wipe that has been slightly dampened with methanol or isopropanol. The result should be a foamy, saturated solution. The alconox powder should be dissolved as much as possible. Latex gloves might turn slightly yellow from exposure to the soap and water. (4500, 5000, 5500, and 6500 systems) Remove the two 1.5 mm hex screws that hold the lens on the QJet ion guide, and then remove the C-clip with the C-clip removal tool. 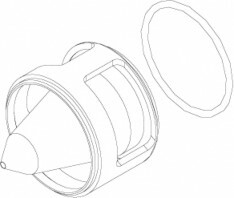 (TripleTOF® systems) Remove the three Phillips screws that hold the lens on the QJet ion guide. Caution: Potential System Damage: Avoid contact between the metal handle of the brush and the rods, and do not bend the brush handle. Pour hot tap water over and through the QJet ion guide for three minutes, while rinsing any soap from the gloves. WARNING! 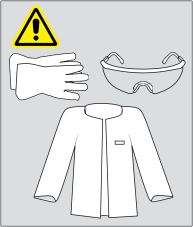 Toxic Chemical Hazard: Use a fume hood when pouring solvents or evaporating solvents. Make sure that adequate ventilation is available. 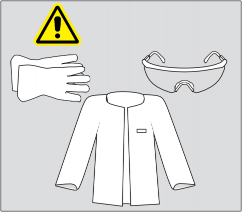 Wear appropriate personal protective equipment. For health and safety precautions, refer to the System User Guide or the Safety Practices Guide . Under a fume hood, pour 100 mL to 200 mL of isopropanol or methanol onto the QJet ion guide, making sure that it is applied to the entire surface. Catch any waste and discard it in the designated waste container. WARNING! Compressed Gas Hazard: Make sure that the gas pressure does not exceed 60 psi. Make sure that the gas stream is not directed toward the operator. (QJet® ion guide-equipped systems) Install the QJet ion guide. Note: If the ion guide is properly seated, it will pop out slightly when released. If it is not properly seated, pull it out slightly, turn it, and then try again. Tip! Use the correct orifice plate for the system for optimal performance. Do not use an orifice plate for another system. The model number for the system is etched on the orifice plate. Align the pin on the back of the skimmer with one of the three notches in the assembly. Push the skimmer into place. Align the pins on the orifice plate with the corresponding holes in the mass spectrometer. 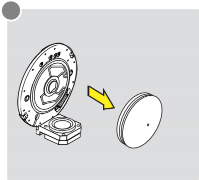 Insert the orifice plate, pushing it into place until two clicks are heard. Tip! Clean the Q0 region regularly to minimize the impact of charging (a significant loss of sensitivity of the ions of interest over a short period of time) on the quadrupoles. If the Q0 region is contaminated, it can be cleaned. The mass spectrometer must be at atmospheric pressure and the other front-end components must be removed. Note: To determine whether the region is contaminated, perform the Q0 test. Refer to Verify Q0 Region Operation on page 16. Shut down the system by following the procedure in the System User Guide or Hardware Guide . Wait at least 25 minutes for the mass spectrometer to vent naturally, and then disconnect the AC mains supply cables of the mass spectrometer and roughing pump from the AC mains supply outlet. Caution: Potential System Damage: Prepare the wipe properly, to make sure that it is held securely in the eyelet of the cleaning tool, and to prevent it from falling off during use. Cut a wipe in half on the fold. Fold the wipe so the cut edge is on the inside. The resulting folded wipe should be about 5.7 cm (2.25 inches) long. Insert the wipe into the top eyelet. Caution: Potential System Damage: When using water, do not dampen the wipes excessively. Excessive moisture can cause the wipes to fall apart in the chamber. Roll the wipe around the Q0 cleaning tool. Flatten the wipe and insert it into the eyelet. The wipe should be 1 cm (3/8 in.) wide. Tip! If the wipe is too wide to fit into the eyelet easily, roll it on a clean, slightly-smaller diameter tool, such as the handle of a poly swab. 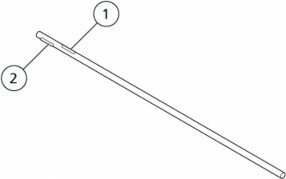 Turn the Q0 cleaning tool two full revolutions clockwise. This prevents the wipe from becoming too thickly wound in one spot, which would make the tool difficult to remove. Remove the contaminated wipe from the Q0 cleaning tool, and dispose of it according to standard laboratory operating procedures. Caution: Potential System Damage: Do not force the Q0 cleaning tool past the shield in the Q0 rod set, to avoid striking the IQ1 lens. Resistance will be felt when the tool encounters the shield. Slowly turn the Q0 cleaning tool while pulling it forward, out of the mass spectrometer. This prevents the wipe from becoming too thickly wound in one spot, which would make the tool difficult to remove. (Optional) Dry the Q0 region, while it is still wet, with a flow of clean air or nitrogen. Continue with Put the Mass Spectrometer Back into Service on page 23. Note: Before cleaning Q0, perform a full cleaning.